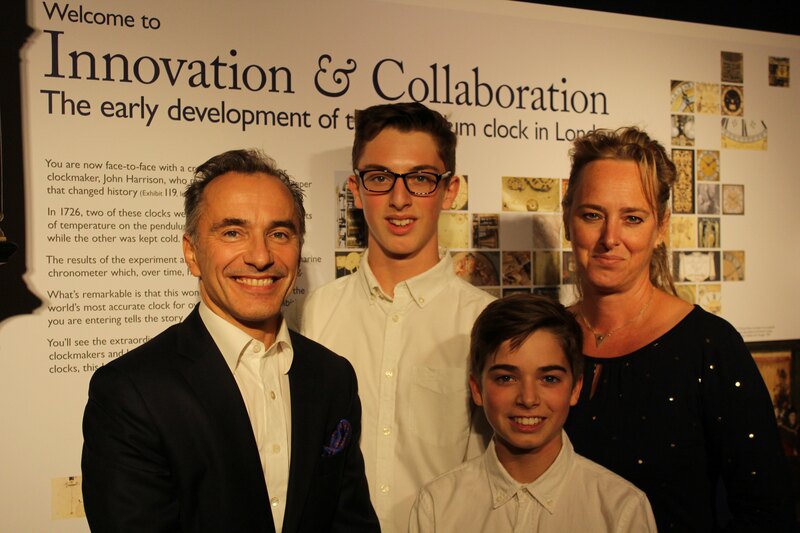 James Stratton, the highly respected Head of Clocks at Bonhams, spoke at the Innovation & Collaboration exhibition which took place at New Bond Street, Mayfair, London. He said, “These collectors have cherry-picked their own collections and brought in a dozen loans from such renowned institutions as TheScience Museum, The Worshipful Company of Clockmakers, Belmont House and the Zuylenburgh Planetarium in theNetherlands, in order to tell the most complete story of early timekeeping ever made public. “The story is covered by national and regional museums throughout the world but not in such concentrated depth as you find in the exhibition. “As an example, only five clocks by Samuel Knibb survive in the world, and they’re all here. The earliest Pendulum Clock with a fusee is also included. The most accurate clock in the world from 1720 to about 1870, made by John Harrison, is at Bonhams. So, this exhibition offers the opportunity to see some highly important clocks all together for perhaps the one and only time. We thank James Stratton and his wonderful colleagues at Bonhams for hosting the Innovation & Collaboration Clock Exhibition. 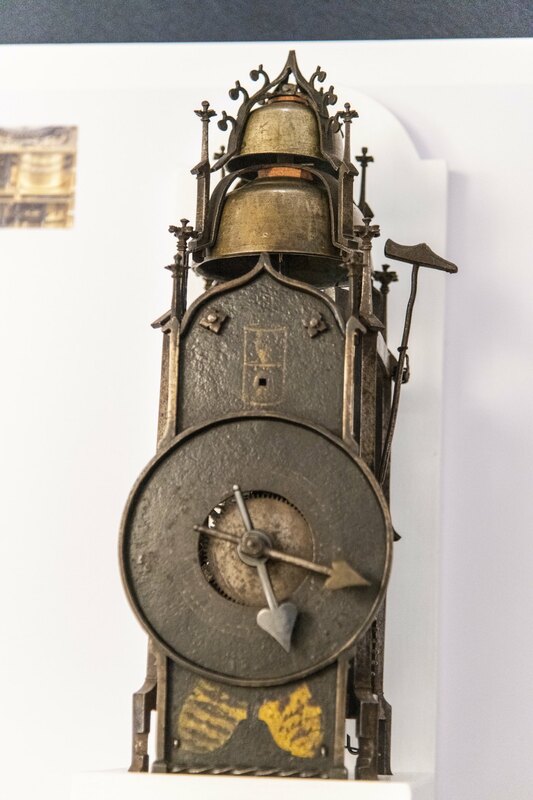 Our topic on the eve of the Innovation & Collaboration event focuses on the importance of telling time and we’re using this clock as one of the exhibits to highlight its significance because of its horological importance. A discussion about Ahasuerus Fromanteel Mounted Wall Clock, c 1658.